In the following HYDROSCAN results within a subterritory of about 100 square kilometer are presented. 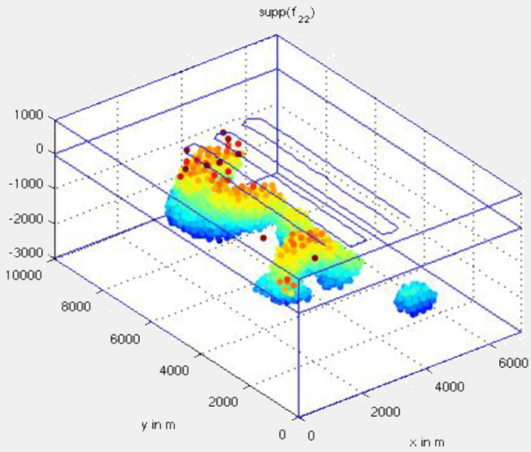 This study illustrates that HYDROSCAN method is a modern technology with a great exploration potential for detection of hydrocarbon reservoirs. 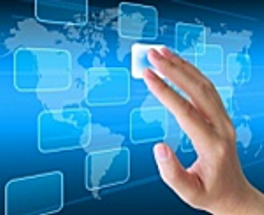 It is able to define new well locations with a high productivity potential. On the other hand several decades of exploration work performed by different international petroleum companies failed which is documented by 18 dry wells and not even one productive well. In a first step anticlinal and upwarp structures are identified based on reflection seismics. 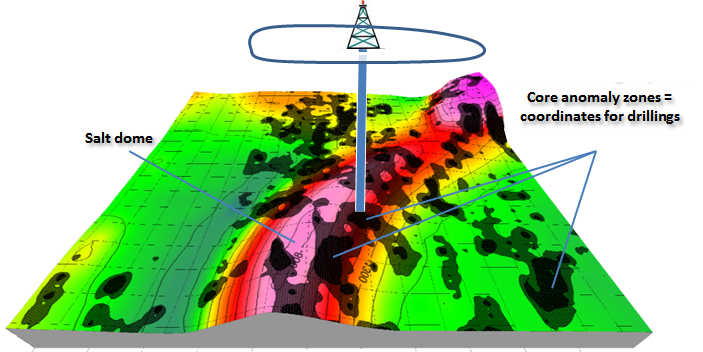 In a subsequent step such defined conventional traps are drilled by chance when complex geology is predominant. In case of the treated example (zoomed area) the 5 wells unfortunately did not reveal any oil charge. The reason is obvious when compared to the seismo-electromagnetic HYDROSCAN results. 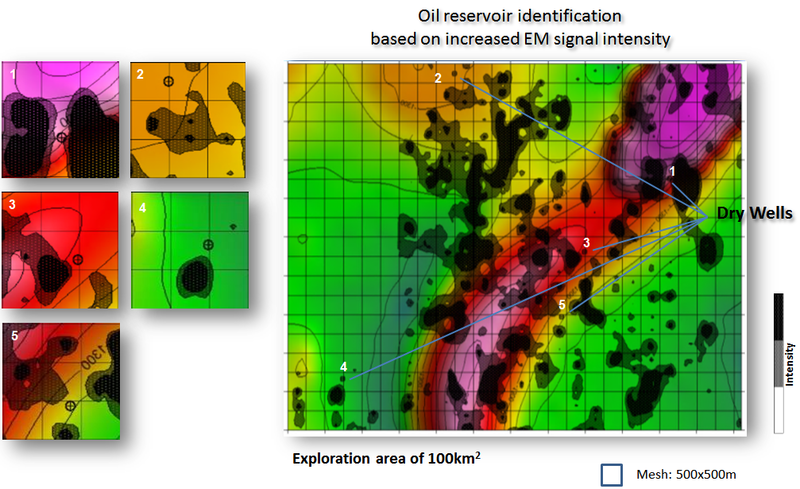 The projection of the EM signal power distribution onto the depth contour plot of Upper-Cretaceous bottom surface images the anomaly outcrop pattern of transmissible (permeable) oil-bearing reservoir zones. Thereby indicating that all dry vertical wells missed the anomaly cores (black) in off target distances of 100 - 500m. Furthermore the HYDROSCAN survey provided additional anomaly zones outside the anticlinal areas which are not visible in the seismic data. 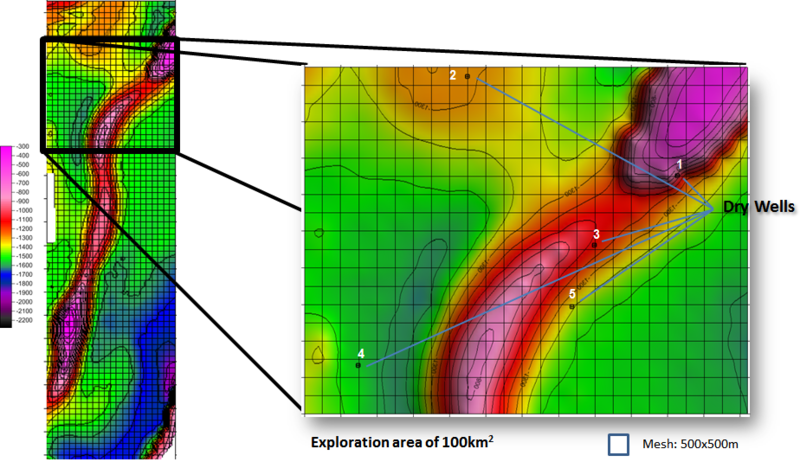 Based on the HYDROSCAN results a new precise well location within an anomaly core could be defined. Ongoing drilling operation discovered end of 2012 first oil evidence, thus stating a distinguished success rate of 100%..
For comparison: the long-term oil finding rate based on conventional exploration is about 17%.